In this weeks newsletter, SA parkrun directors meet up to discuss challenges and share ideas. 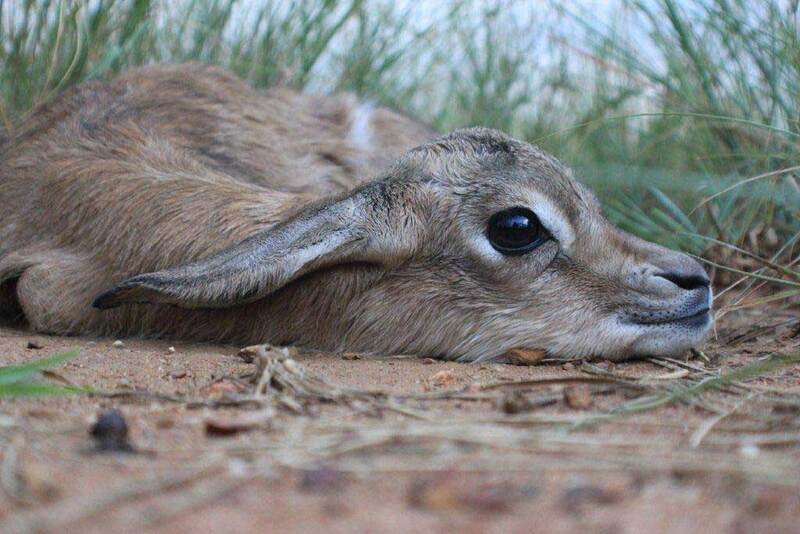 Nahoon Point parkrun achieves a record field yet again while Ebotse parkrunners marvel at the birth of a Springbok at the estate. The recent “bosberaad” of the SA parkrun event directors and teams has had a very positive effect as everyone left excited and motivated and our parkruns have had some record fields since. This is highlighted by Nahoon Point’s astonishing record field of 436! In addition, our total number of registered parkrunners has now topped the 7000 mark. 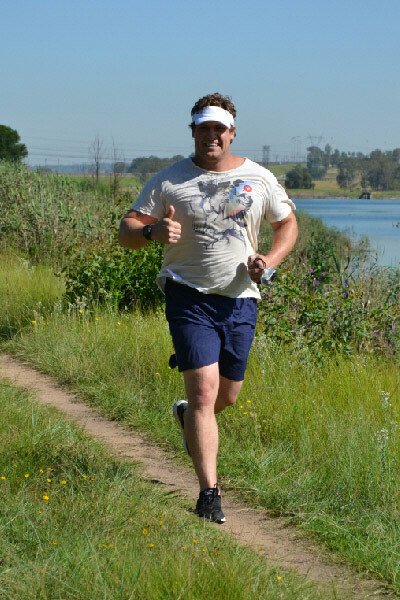 An interesting trend at SA parkruns is how more and more parkrunners are venturing further afield to try other parkruns. Two Saturday ago, our 4 (50 club) red tee members each ran at different parkruns even though 3 of us are Delta Park registered runners. I ran at Modderfontein Reserve, Dieter Meyer at Ebotse, Tracy Rankin tried Durban North Beach and William Loisen ran at Roodepoort. We have had a flood of enquiries for parkruns all over the country and things are looking promising for some potential new members of the SA parkrun family. While on the subject of family, Delta Park parkrun was delighted to host Tim and Nicci Oberg from Australia. Tim is the Australian Country Manager and had some very useful advice for all of us. Gill and I look forward to running a couple of Australian parkruns next month and being able to visit the Obergs at their home parkrun at the Gold Coast. 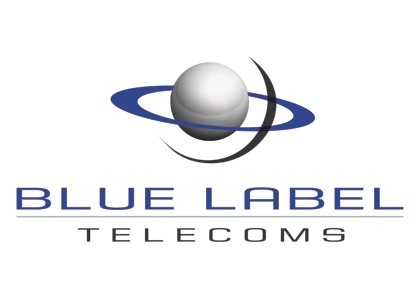 Blue Label Telecoms is the proud sponsor of parkrun SA, having supported parkrun since its inception. We encourage our staff members to live their lives in a healthy way and see parkrun SA as an ideal opportunity for them to put some more exercise into their lifestyles. We are delighted to see parkrun SA’s growth, now topping over 7 000 registered runners at seven fully operational sites throughout South Africa. We continue to lend our support to this worthy initiative and look forward to parkrun SA becoming a major player within the fitness arena in due course. While checking the Ebotse parkrun route markers, I noticed an unusual chape in the grass. As I got closer, I thought that it must be a scrub hare (there are many on the estate), but upon closer inspection, I realised that it was a new-born Springbuck! So beautiful, gentle and innocent, with the mother nowhere to be seen. Time stood still as we gazed at each other in wonder. The picture below shows no hint of fear, just an instinctive response to lie low, with its ears flat, to avoid detection. Exercising in a green environment has many benefits, none more so than the affinity that we build up with the creatures that share our parks and wild places. 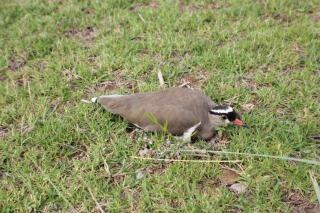 Over the past few weeks, Ebotse parkrunners have carefully negotiated their way around an extremely brave Crowned Lapwing (Plover). This mom had decided to lay her eggs on our running path, forcing more than 100 runners left and right. Just as she thought she could settle again, the whole field thundered past her again (Ebotse is an out-and-back route). Before the next parkrun, the nest was cordened off and on subsequent runs, she lay silently on the nest watching the field come and go within a few feet. Last week the nest was empty, but away to one side was a happy little Lapwing family of mom and three chicks, all no doubt very grateful to the parkrunners who side-stepped their nest to ensure their survival. On the 9 February, our Modderfontein Reserve parkrunners were once again delighted to line up with South Africa Country Manager, Bruce Fordyce. After the usual welcome and light banter, the 70 parkrunners set off for the 5th Event. Amongst the crowd of intrepid runners was Co-Event Director Jo-Anne Buchner, carrying along her camera for the run. Since parkrun is inclusive and within a safe park environment, Jo-Anne decided to allow the camera to dictate the shot, and so the timer was set to 1 minute intervals. The result… some spectacular glimpses of the beautiful South African route. Below is a highlight of some of the views Jo-Anne’s camera captured. With Bruce and Jo-Anne having equally been placed 2nd in their previous Modderfontein Reserve parkruns, both made sure to cross the line 1st in their respective Gender Categories. The post-parkrun social gathering at the Dynamite Coffee Company has grown too, with many new faces popping in for a light meal and cup of Java before continuing with their day. See you again this Saturday! What do you do at parkruns: I run mostly, when I am not walking. How has parkrun changed your running: I seem to be improving, thankfully it’s timed, so I can track this. What do you like about parkrun: It’s the fresh air and the company, Modder does seem to have the friendliest atmosphere. Also, running…in a park. Most memorable or funniest parkrun moment: There seem to me many moments involving a bridge that overflows when we’ve had a wet Friday night. I quite enjoy seeing the different approaches to what has fondly been deemed the “Modder Steeple Chase”.